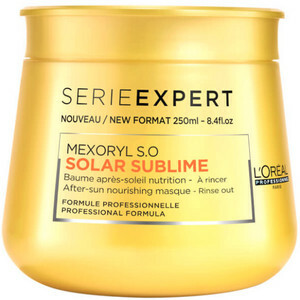 This luxe-creamy masque lavishes hair with intense post-sun nourishment. 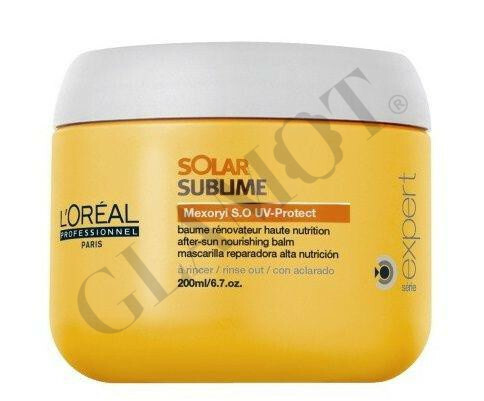 Rebuilds the hydrolipidic film and protects the hair fiber from UV rays. The advanced formula, containing Mexoryl S.O, selectively targets and actively enrobes the most damaged areas. Result? Hair has a more luxuriant feel and lustrous finish.